One of Berlin's most acclaimed new museums (opened 2001). An institution of Jewish culture – but NOT (at least not primarily) a Holocaust memorial museum, as some people erroneously seem to presume. It does cover some of these dark elements, but in the main its permanent exhibition is about non-dark cultural things, and thus only of secondary interest to the decidedly dark tourist. It's still worth a visit – if for the extraordinary architecture and design alone! More background info: In a way, the museum isn't actually that new at all – the old wing of today's Jewish Museum was built as early as the 18th century, but it wasn't until the 1960s that the (reconstructed) building (the orginal had been largely destroyed in WWII) became a museum, namely the "Berlin Museum", a museum about the history of the city. This already had a section on Jewish history, but the idea of turning the whole institution into a dedicated Jewish museum was only developed in the late 1980s, shortly before the reunification of Germany. The prominent "star" architect Daniel Libeskind (USA) won a design competition for the museum-to-be, and after reunification of Germany and Berlin it became one of the first large-scale redevelopment projects in the city. It was a highly controversial undertaking at first, though, and it took a lot of campaigning to see the actual realization of the radically modernist new museum building design through. Construction began in 1992 – and this too dragged on. When it was finished in 1999, it was first opened to the public as an empty building. The permanent exhibition came later and was inaugurated in 2001. The old building was redeveloped on the inside too, and now houses ancillary parts, such as the ticket office, a museum shop and a restaurant. 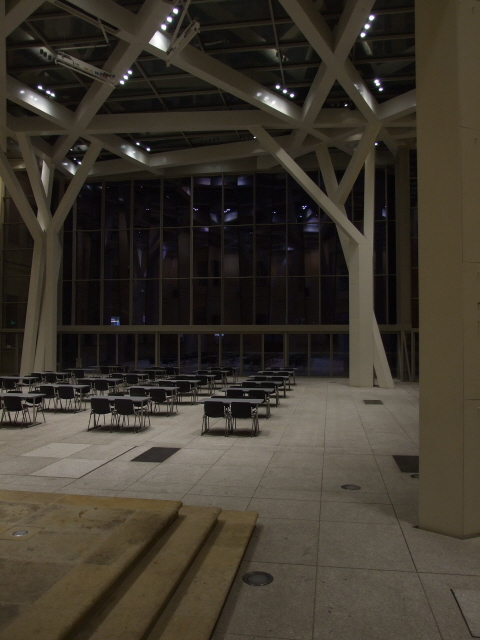 The courtyard of the old building was redesigned by Libeskind as well, so that since 2007 it has been covered by a glass roof supported by a system of columns that recall the new wing's modernist style. The Jewish Museum in Berlin soon became incredibly popular and ever increasing visitor numbers mean that today on average ca. 2000 people come and see it every day. Given the design of the museum, however, it is advisable to try and avoid times that are too busy. Fortunately, the museum's generously long opening hours make this quite possible. When I went late on a Monday (when the place is open until 10 p.m.! 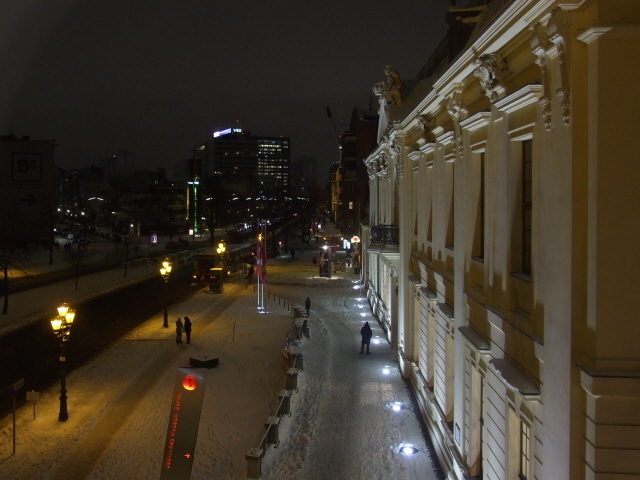 ), the majority of visitors had gone and it wasn't too crowded at all. 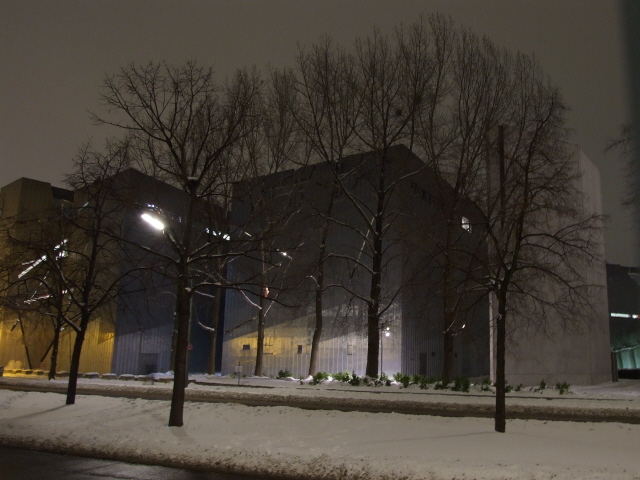 Note, again, that the Jewish Museum in Berlin is not as such a Holocaust memorial museum. This incorrect assumption is occasionally even made by people who really should know better – see the remarks about the press release on the opening of the Holocaust Memorial Centre of Macedonia in Skopje! 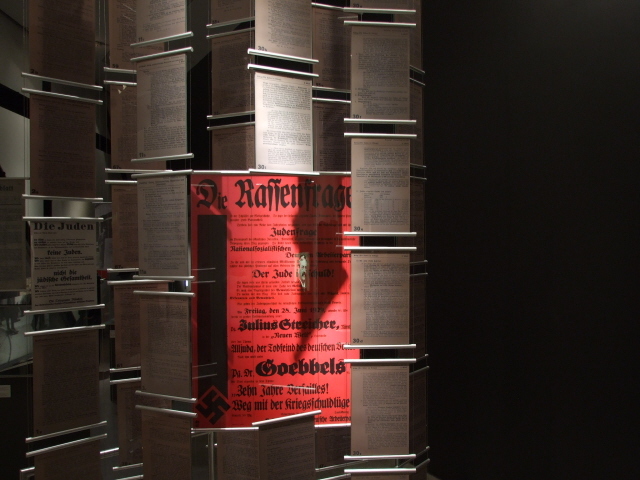 For more comprehensive information about the Holocaust in Berlin rather go to the exhibition at the Holocaust Memorial. What there is to see: Almost everybody agrees: the main sight here is that of the museum building's extravagant modern architecture in its own right – that of the new wing that is. You enter through an old baroque building, but the permanent exhibition is housed in the new Daniel-Libeskind-designed modern building. Do take time to marvel at the outside, either before or after visiting the inside of the museum. 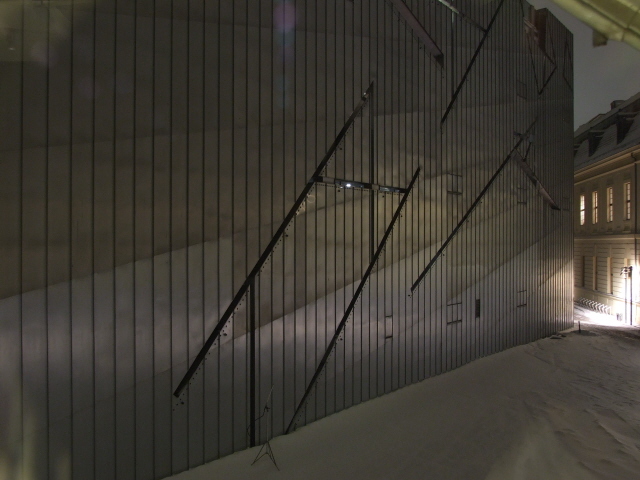 The zinc-clad silver surface of the facades mostly lacks traditional windows, instead is has slim slits at various angles, which makes it look like the walls have been slashed with a machete. These irregular gashes are echoed on the pavement between the wings of the building too. And you'll find the theme picked up again inside the museum too. The whole building is far from the usual regular shape, even the basic "footprint" area space is twisted in a zigzagging fashion. 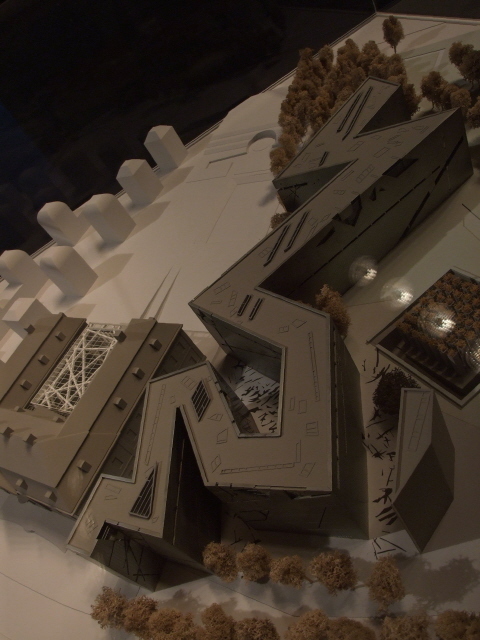 Of course, from street level it is difficult to take the bizarre shape in properly – so it is helpful that inside you can also find a model which provides a good impression of what the museum would look like from the air. Only then can you really make out the zigzagging structure. Allegedly it is supposed to resemble a fractured, or warped, Star of David. But it wouldn't occur to you unless you're told so. Not all that noticeable either are the so-called "voids" in various places, especially at junctions of the zigzagging corridors. These are indeed empty spaces, some of which you can peek into, and they're supposed to symbolize the "voids" left by those Jews and Jewish communities that have been wiped out during the Holocaust. While this is certainly a very dark aspect of the building's design, it is still quite an abstract one that, again, you need to read or be told about in order to get it. One exception, however, is the so-called Holocaust Tower – this is a structure disconnected from the main building above ground and only accessed through a subterranean tunnel. 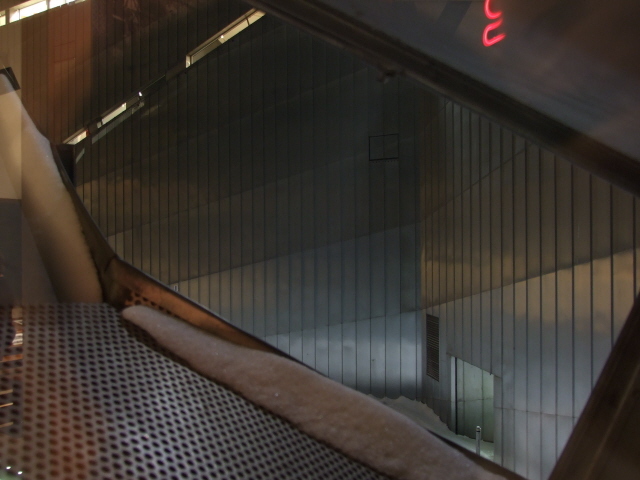 Inside it is completely bare, unheated and lit by only a small slit in the ceiling that allows minimal daylight in. 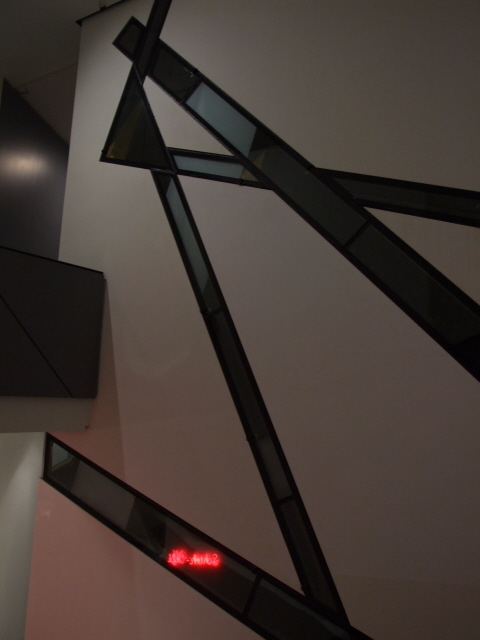 It was dubbed "voided void" by Libeskind and is yet another totally abstract symbol. But it's become associated with the Holocaust because the tunnel at the end of which the door to the inside of the tower functions as the "Axis of the Holocaust" (see below). Before you can see anything inside the museum, though, you first have to pass through the security checks at the entrance, located in the old building, which also houses the ticket office, shop, restaurant, temporary exhibitions and "event" spaces. The permanent exhibition is accessed through an underground tunnel too, which first takes you to an intersection of "axes" (as in plural of 'axis', not 'axe'! 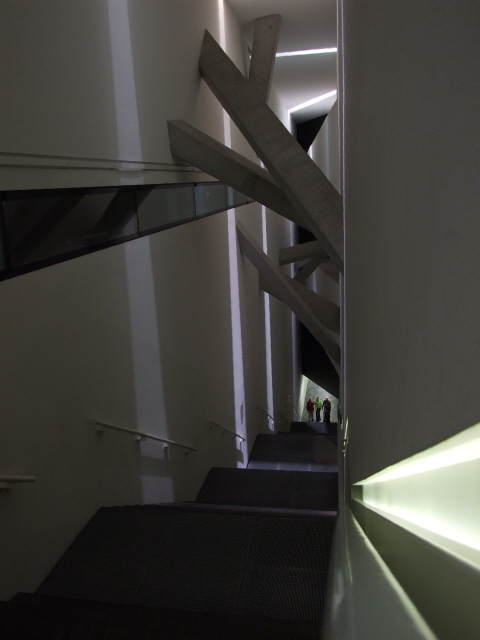 ), of which one leads to a long staircase up to where the exhibition begins. The feeling of fractured space is emphasized inside the staircase by means of irregular concrete crossbeams that jut out overhead. 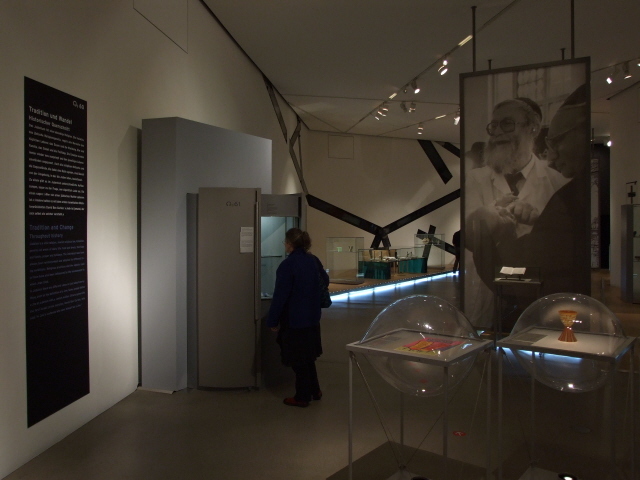 The actual exhibition, then, covers 2000 years of Jewish, and in particular German-Jewish history and culture. That's a lot of ground to cover, of course, and much of it will at best be of marginal interest to most dark tourists (but of major interest to Jewish heritage tourists!). Therefore I will make only a few general observations here and then pick out aspects of particular relevance to dark tourism. 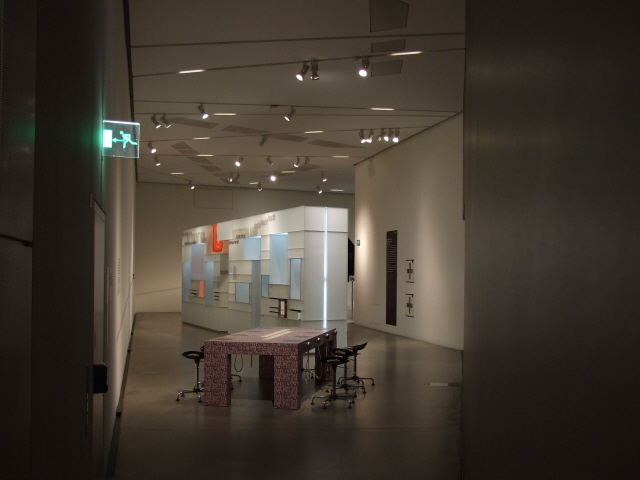 The exhibition is chronological and arranged along a pre-given course – although it is also quite easy to lose your way and get confused as to which way you are supposed to head next. Not least because of this (intended) feature of the labyrinthine exhibition, there are so-called "hosts" available, museum assistants that can give guidance and also answer questions. 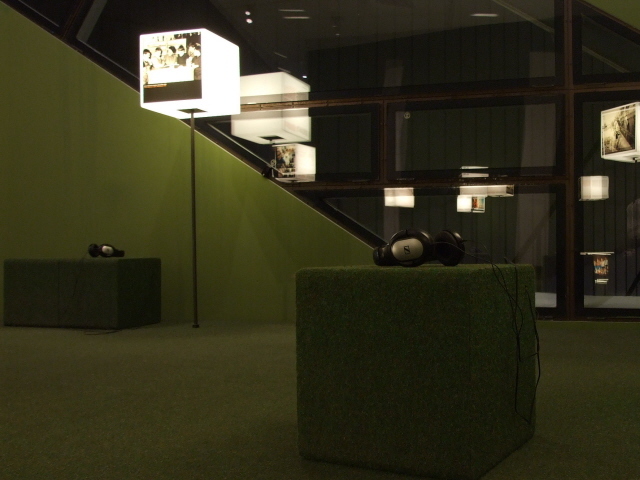 The nature of the exhibition is extremely modern, sometimes it has more the form of art installations. The more traditional exhibits-and-explanatory-texts bits are often enhanced with complementing multi-media offerings too. Some sections feel a little "forced" in their arty-ness, others work better, and a few are even genuinely entertaining. How much you get out of it as a visitor will largely depend on how much interest you have in Jewish history/culture and at the same time how much modernism you happen to appreciate. Personally, I found the extraordinary modernist elements more fascinating than many parts of the exhibition's informational content. But I'm aware that others might just as well view it exactly the other way round. The theme of exile or going into hiding gets good coverage. 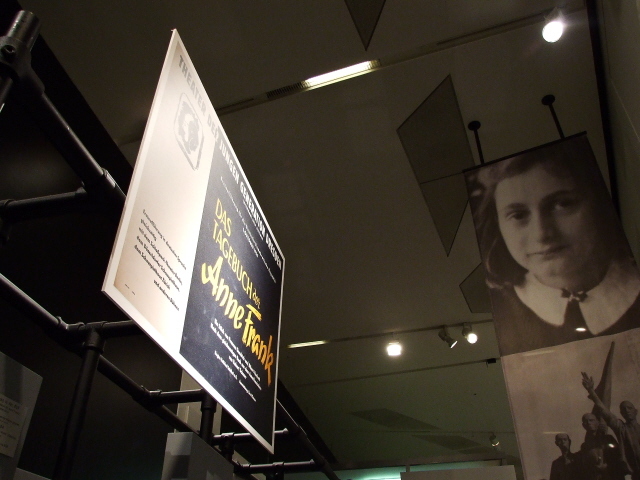 Here, the most obvious name is that of Anne Frank, whose famous diary describing life in hiding (see Anne Frank House Amsterdam) is exhibited in a dedicated section here too. Heroes who helped in protecting and/or hiding Jews, such as Otto Weidt (see workshop for the blind), also get a mention. 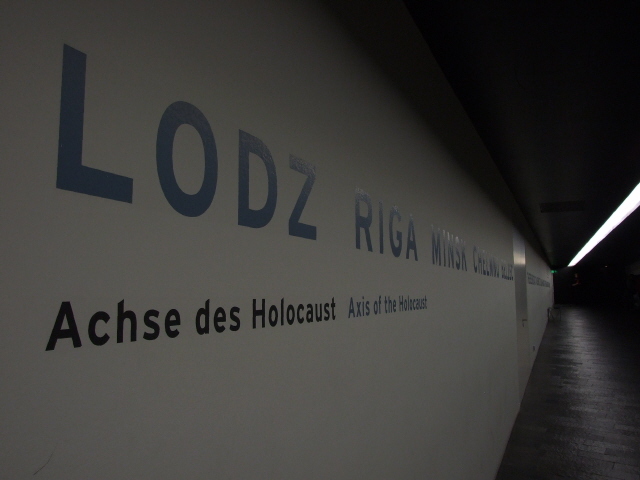 The very darkest parts of the Holocaust, the systematic, industrialized mass murder in the death camps in Poland is covered in not so much detail, and less graphically than is the case in dedicated Holocaust museums (which the Jewish Museum in Berlin is not and does not want to be! – if you're looking for that rather go to the Information Centre at Berlin's Holocaust Memorial). 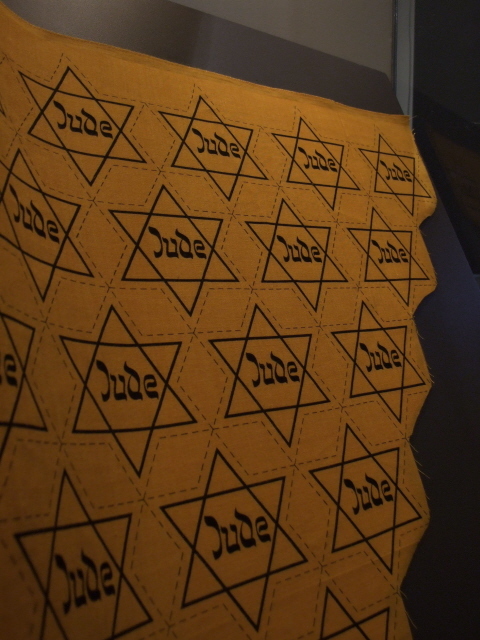 The most poignant artefact on display is probably the piece of fabric with "Jewish Stars" prints – which Jews had to wear in society (from early on) and as inmates in the concentration camps. The aftermath of the Holocaust gets much more extensive coverage here – not just the mostly insufficient trials of perpetrators, e.g. at the Auschwitz trial of the 1960s. The focus is also on the aftermath in the sense of commemoration/memorial culture. Here the difference between West and East Germany is highlighted, e.g. the GDR approach to sites such as Buchenwald (or, closer to Berlin, Sachsenhausen) which emphasized "anti-fascist resistance" but neglected or swept under the carpet the particular fate of the Jews. Everyday issues of memory are picked up too – as are the stories of prominent Jews in post-war Germany, of returnees, and, especially, the next generations. The latter is dealt with in an interesting fashion in a room towards the end of the exhibition concourse, where – taking family photos as a starting point – various different family histories and personal stories, attitudes and memories are told. In addition to short texts you can listen to more accounts over headphones – including some surprising assessments of contemporary views about Jewish culture and Shoah commemoration! 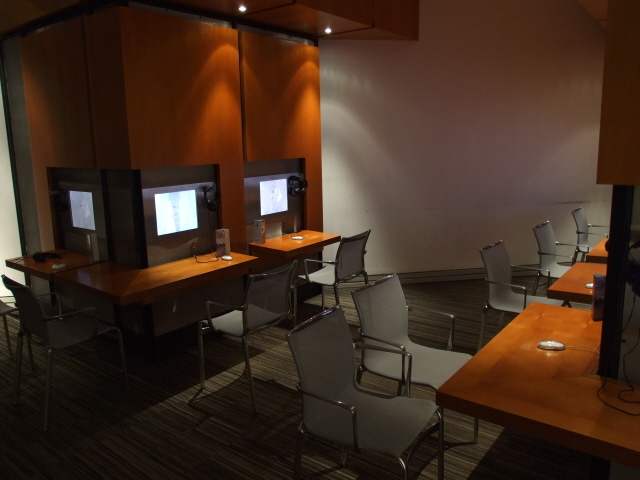 Right at the end of the exhibition, there is a set of three computer workstations where visitors are invited to express their own views about the museum and its contents. Kind of like a computer-age alternative to a traditional guest book. All texts in the permanent exhibition are bilingual, German and English, and the quality of translation is mostly excellent. The quality of the equipment, too, is also unusually high – e.g. the headphones that visitors can use at the countless audio points are of renowned makes, and the sound quality is accordingly very good. This is not often the case (often crappy third-rate cheapie headphones are used in too many memorial museums). So full marks for the Berlin Jewish Museum on that front too. I have heard of non-working video stations though, so maintenance of the high-quality equipment may also be an issue here. After going through the main permanent exhibition (or theoretically also before, of course) you should also explore the larger memorial sections and grounds. 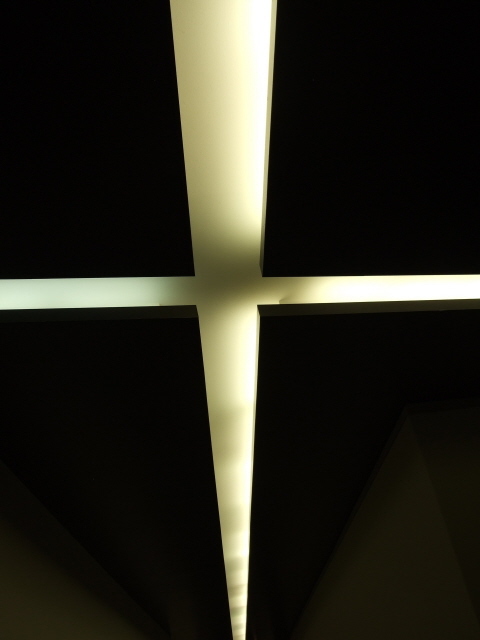 From the main corridor to/from the permanent exhibition, which is called "Axis of Continuity", two more branch off. 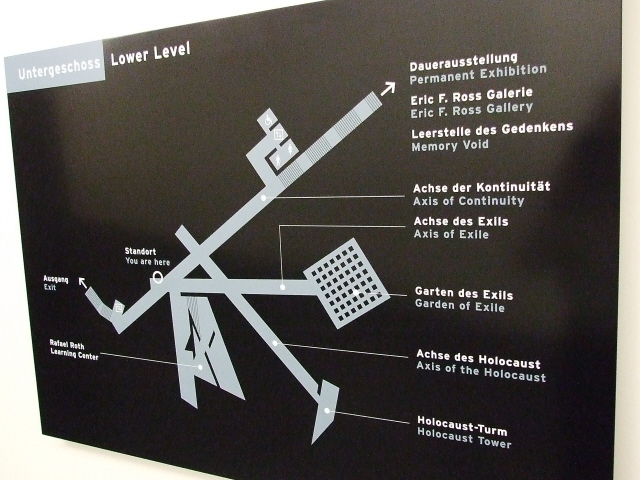 One is the "Axis of the Holocaust", which end in the access door to the aforementioned "Holocaust Tower". En route the walls of the corridor bear the names of ghettos, mass murder sites, and especially of course those of the concentration camps and death camps. 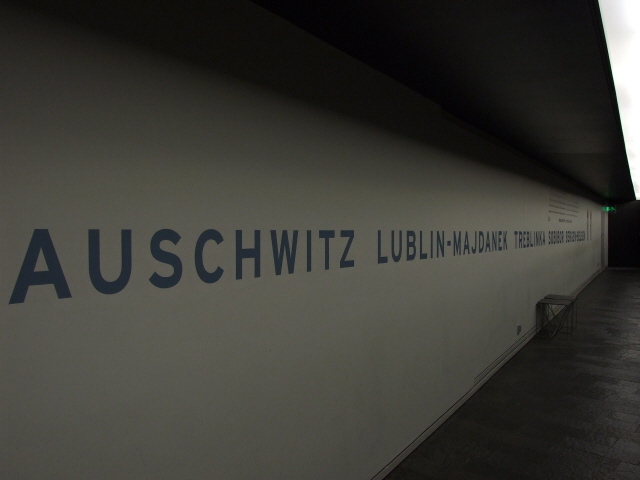 There isn't really another exhibition down here, although one remarkable exhibit in a niche set into the wall stands out: a letter smuggled out of Auschwitz. A third corridor is the "Axis of Exile" – and this leads to an outside "garden of exile", a tilted square covered with 49 stone stelae in/on top of which olive trees have been planted. Symbolism runs high here too. 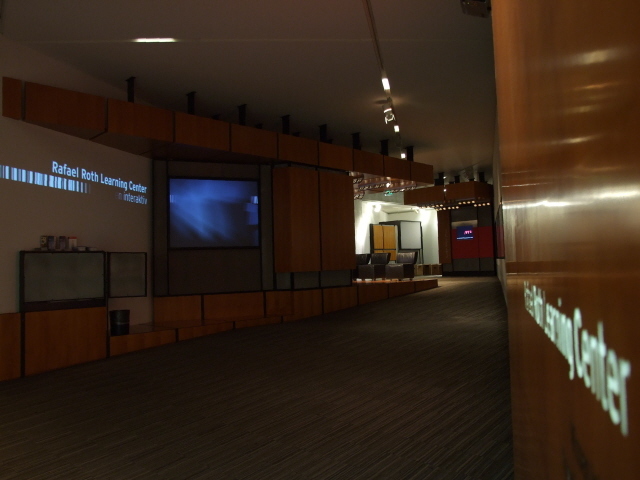 Finally, there is a separate "learning centre" accessed from the corridors down here too, where there are 20 computer workstations where you can use the interactive screens to access all manner of electronic information going deeper into the museum's theme still. Back at the old building, where the entrance is, the large museum shop deserves a look too. 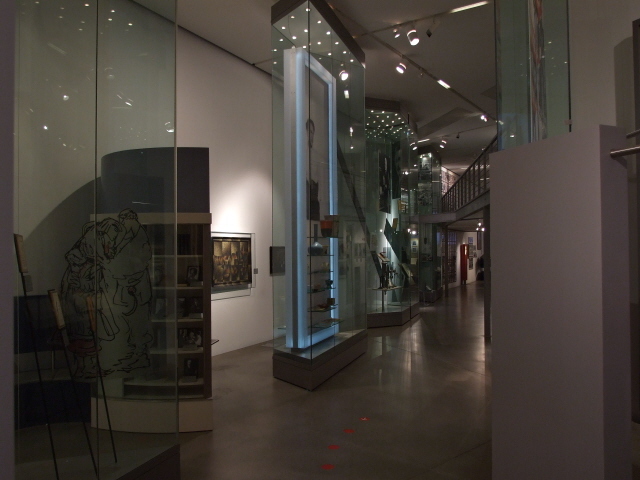 Like the permanent exhibition, the goods on offer do not focus especially on dark aspects, instead they also involve lots of "fun" elements such as teddy bears with Kippahs or Jewish cookery books. 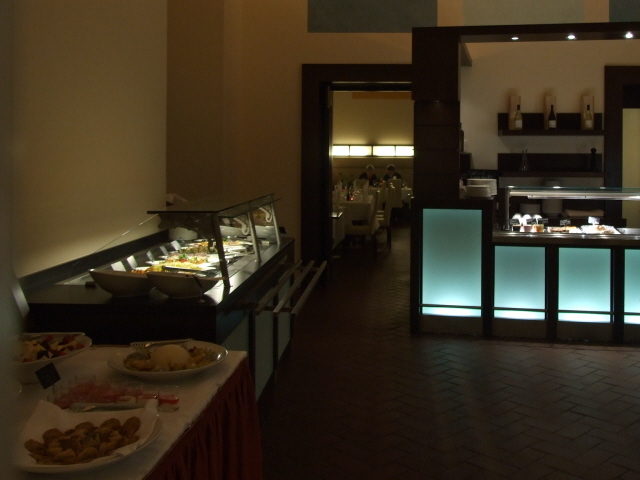 The on-site restaurant follows through with the theme of the museum by presenting in particular Jewish/Israeli snacks and specialities. Some nights there is live Klezmer music too. All in all it is certainly an impressive museum, especially as far as the design is concerned – although there has also been criticism that it's overloaded, confusing, or that the presentation of information is too inconsistent … or similar such complaints. From a specialist dark-tourism perspective it has to be conceded that some may well find the sections about the Holocaust etc. too brief. But then again, you have to remember that this is not intended to be a specialist Holocaust memorial museum and that that dark chapter of Jewish history in Germany and Europe was only one of many, even if it was the definitively darkest chapter ever. With that borne in mind, the coverage is quite adequate in its breadth. Naturally some parts of the contents will ultimately not be of that much interest to everyone – no matter how intense the design is – but then again you can always skim or skip these. Location: at No. 9-14 Lindenstraße, in central Berlin, near the borderline between the districts of Mitte and Kreuzberg (the post code officially belongs to the latter, but the museum is far off the better-known "alternative" parts of Kreuzberg-Friedrichshain). Access and costs: fairly easy to get to; not too expensive. Details: The museum is just south of the old centre of Berlin, so you can even walk it; e.g. from Gendarmenmarkt it's just under a mile/less than 1.5 km south along Markgrafenstraße. The closest metro station is Hallesches Tor to the south on the U 1 – with direct connections to Kurfürstendamm – and U6 a few stops south of Friedrichstraße. From there walk eastwards by the canal and then left up Lindenstraße. The metro station Kochstraße (U6) near Checkpoint Charlie is quite convenient too. From there walk down Friedrichstraße, then turn left into E.T.A.-Hoffmann-Promenade, from which you emerge straight opposite the museum. Bus line 248 has a stop directly at the Jewish Museum – you can catch it e.g. from Alexanderplatz/Grunerstraße. As unfortunately has to be the case at any Jewish institution, security is extremely tight at this museum too – so expect airport-like metal-detector checks at the entrance, and also bag searches, which at busy times can take quite a while. The museum's opening times are exceptionally generous: daily (except for very few Jewish holidays) from 10 a.m. to 8 p.m., on Mondays even as late as 10 p.m.! Last admission an hour before closing time. Admission: regular 8 EUR, concession 3 EUR, children under six free. With a Berlin City Tour Card you qualify for a 3 EUR reduction, with a Berlin Welcome card it's 2.25 EUR off; and there's also a reduced admission co-operation with the nearby Berlin Modern Art Gallery (if you visit both on the same day or the following day). Audio-guides are available (in German, English, French, Italian, Spanish, Russian, Hebrew, Japanese) and cost 3 EUR (ID deposit required as well). Time required: difficult to say – some people spend hours on end in the museum, others are more selective. 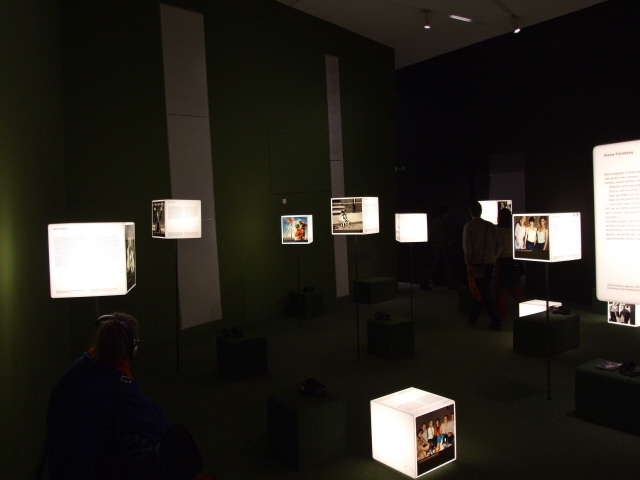 It's also easy to get lost in the labyrinthine layout of the main exhibition, so that can add unexpected time. If you're prepared to skim through many parts of the museum and just concentrate on the dark aspects, then an hour and a half or so might do. If you want to go through everything, you may need a whole day. Combinations with other dark destinations: Fairly close by is the Anhalter station ruin and nearby bunker museum, just a few of blocks to the west. Some of the former Berlin Wall sites are also still within walking distance, especially Checkpoint Charlie, about half a mile (800m) to the north, on the corner of Zimmerstraße and Friedrichstraße. For more see under Berlin in general. Combinations with non-dark destinations: in general see under Berlin – the Jewish Museum is not far from the city centre, but the immediate environs aren't all that touristy. 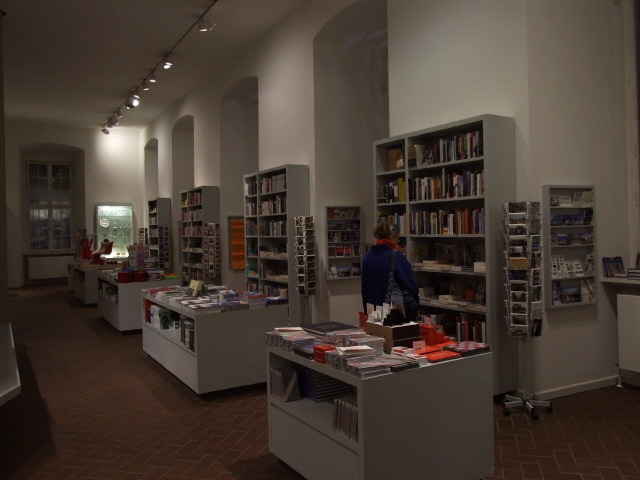 Those who appreciate the Jewish Museum's modernity, however, may also enjoy the nearby Museum of Modern Art, Photography and Architecture (Alte Jakobstraße 124-128, open Wednesday to Monday 10 a.m. to 6 p.m., admission 8 EUR). Also not far, at the southern end of Willhelmstraße a few hundred yards south-west of the museum, is another remarkable modern building, the Willy-Brandt-Haus, HQ of Germany's Social Democratic Party (on the corner of Wilhelmstraße and Stresemannstraße).